Tue, November 20, 2018 7:30 P.M. 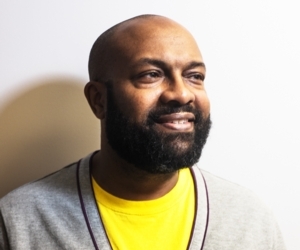 Editor-in-chief of The Crisis magazine, the NAACP’s flagship periodical, and a former editor and syndicated columnist at the The Washington Post, Jabari Asim is a professor of creative writing at Emerson College. His many books include The N Word; What Obama Means...For Our Culture, Our Politics, Our Future; A Taste of Honey: Stories; and the debut novel Only the Strong, “a heartfelt, polyphonic ode to 1970s black America” (Wall Street Journal). He is also a Guggenheim Fellowship-winning poet, playwright, and acclaimed children’s book author. We Can’t Breathe is a collection of eight essays that disrupt the conventional narrative of black history in America.